What happens when a spouse files for bankruptcy during a divorce action. “The intersection of matrimonial and bankruptcy law can leave parties to a divorce both confused and aggrieved. Matrimonial courts are charged with straightening out the affairs between the spouses. That often includes allocation of property rights without consideration of the rights of creditors who are not parties to the divorce proceedings. 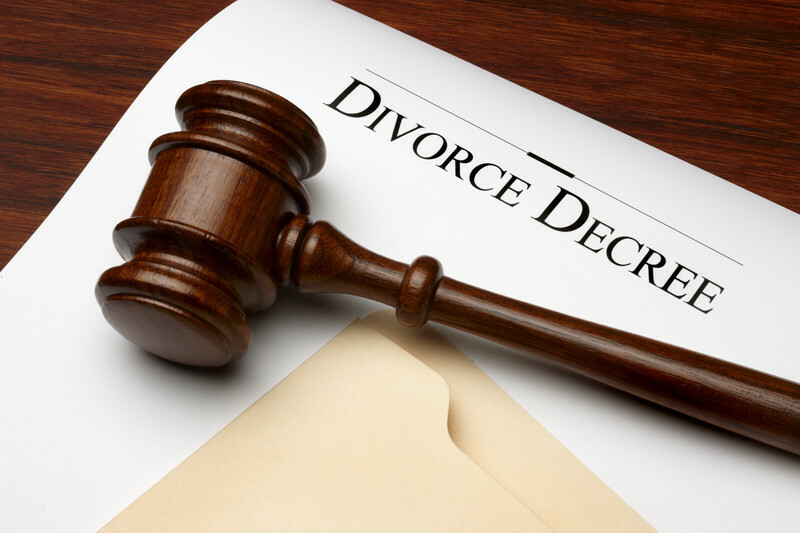 When creditor rights are impacted by divorce proceedings problems can arise. If one of the spouses files for bankruptcy the non-debtor spouse’s rights may be negatively and substantially affected by the interests of the filing spouse and his or her creditors. The dichotomy is illustrated by example. Suppose real property is awarded by the state matrimonial court to the non-debtor spouse but a deed is not recorded prior to the bankruptcy. Clearly a state matrimonial court may establish an equitable distribution award in favor of a non-debtor spouse. However the bankruptcy court has the exclusive power to determine how a state court judgment will affect distribution of property in the bankruptcy proceeding. And, as of the commencement of the case, a bankruptcy trustee has certain strong-arm rights and powers and may avoid any transfer of property of the debtor or any obligation that is voidable. The practical effect of this will result in the real property being declared property of the estate and not that of the non-debtor spouse. The equitable distribution award is transformed into a claim against the bankruptcy estate by virtue of the bankruptcy filing! The recording of the deed post-petition is not a ministerial act and will not protect the equitable distribution award. The non-debtor spouse will be a creditor of the bankruptcy estate for the value of the equitable distribution. Matrimonial attorneys generally know that “domestic support obligations” (a term defined in the bankruptcy code) cannot be discharged. But all debts denominated “domestic support obligations” (DSO’s) will not necessarily survive bankruptcy. The debt might be discharged regardless of what the parties call it. Accordingly obligations denominated a DSO might not be discharged. That is because the bankruptcy courts are the final arbiters of what constitutes a DSO. To the extent that a determination has to be made as to whether the obligation is in the nature of alimony, maintenance or support the bankruptcy court will decide what debts are discharged. Similarly, while DSO’s are given first priority in distribution from assets of a bankruptcy estate, the bankruptcy court will determine whether the debt is a DSO entitled to receive payment before other debts. Factors which the court consider in determining if a debt is a DSO include: (1) Whether the obligation terminates upon the death or remarriage of either spouse, upon any children reaching majority or upon some other similar event; (2) how the obligation is characterized in the parties’ settlement agreement or divorce decree; (3) whether the payments appear to balance disparate income between the former spouses; (4) whether the payments are to be made directly to the spouse or to a third party; (5) whether the payment is payable in a lump sum or in installments over time; (6) whether the parties intended to create an obligation of support or to divide marital property; (7) whether an assumption of debt has the effect of providing unnecessary support to insure that the daily needs of former spouse and any children of the marriage are met; (8) whether an assumption of debt has the effect of providing support necessary to insure a home for the non-debtor spouse and his or her minor children. There are numerous other “matrimonial” related issues that can arise once a bankruptcy is filed including: (i) whether attorney’s fees awarded the non-debtor spouse will be discharged (ii) whether property owned as tenancies by the entirety can be sold in bankruptcy; (iii) the impact and scope of the automatic stay as they relate to events that routinely take place in matrimonial cases such as collection efforts, entry of divorce decrees, modification of an order for domestic support obligations, child custody, visitation, etc. (iv) the legal effect of pre-petition state divorce decrees that disproportionately award greater property rights to the non-debtor spouse when creditors exist”. Goldstein, Rubinton, Goldstein & DiFazio P.C.